A palette that came out of nowhere for me this year was the Anastasia Beverly Hills Norvina palette. The minute I saw it, I knew I had to have it. These shades are totally up my alley and I knew I’d love it. I am not a huge Anastasia fan. I don’t sing the Modern Renaissance’s praises into the sky by any means, but I do have to say that ABH is one of the more innovative brands out there. They definitely are one of the trendsetting brands in makeup right now and whatever they do, other brands seem to be doing it right after. Will the Norvina be another trendsetting palette? 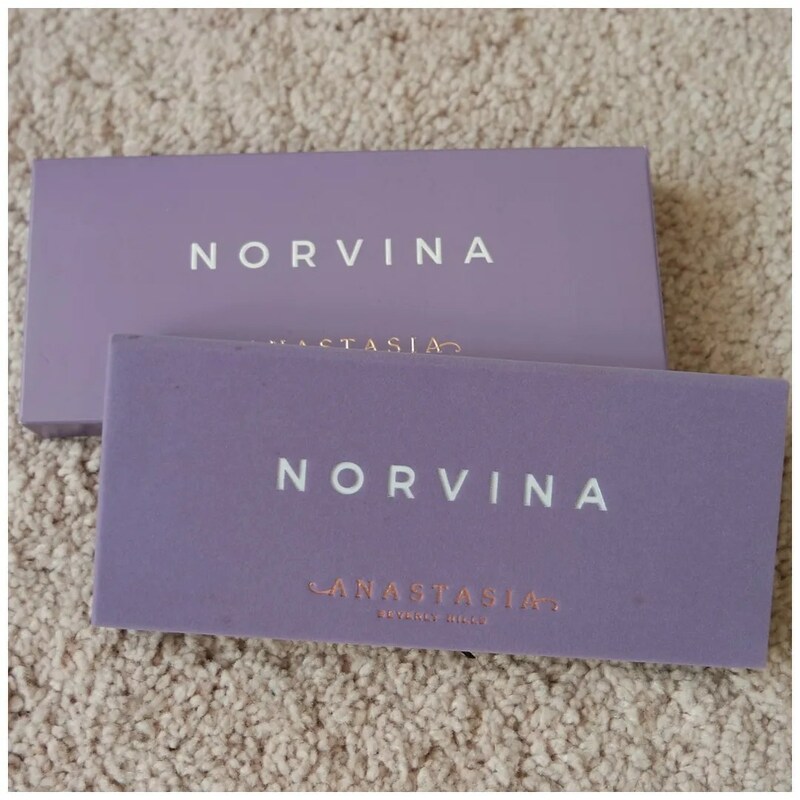 The Norvina palette is a 14 pan palette in velvet packaging like most of the standard Anastasia eyeshadow palettes. Depending on where you live, this retails for different prices. In the US, this retails for $42, which is around €40. In the UK it retails for €47.50 and in The Netherlands this retails for somewhere around €54.95 and €59.95 depending on where you get it. I got mine on Beauty Bay and therefore paid the UK price point. 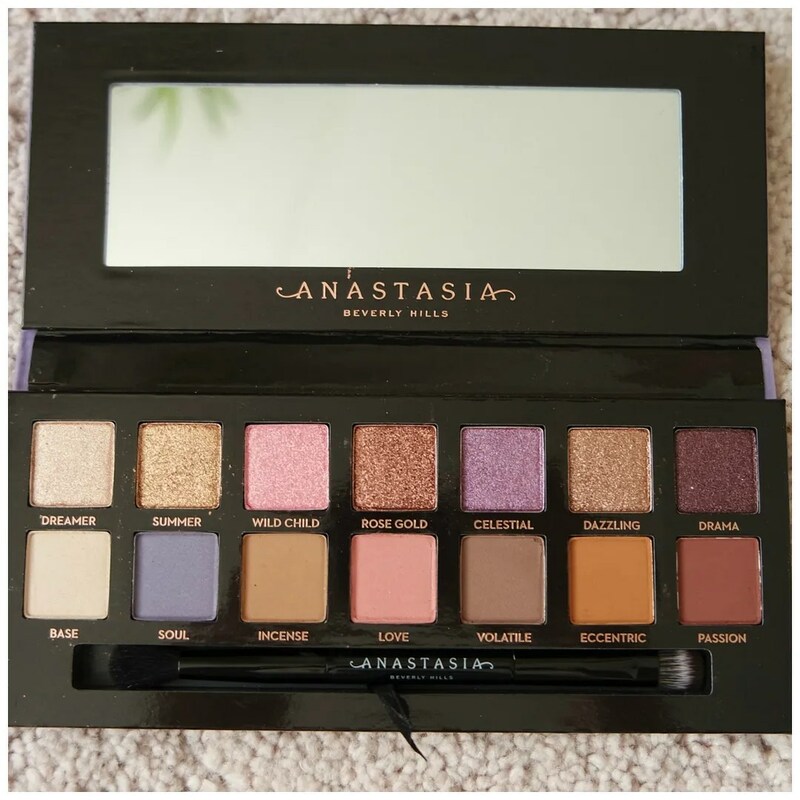 The outer packaging of the palette is in keeping with the ABH palette predecessors. The outer case is velvet, which looks pretty when your palette is new, but gets dirty so easily, especially if it is such a light color. The purple of the outer case is what drew me in to be honest and it would suggest that this is a purple palette which, word to the wise, it is not. The shade range of this palette is actually really nice. With 14 shades, there are 7 shimmers and 7 mattes. I like how they are laid out with a full row of shimmers at the top and a full row of mattes at the bottoms. Out of the 14 shades, only 3 are purple or close to purple, so bear that in mind when you look into this and are looking for a purple palette. This is more like a neutral palette with a pop of pink and purple. 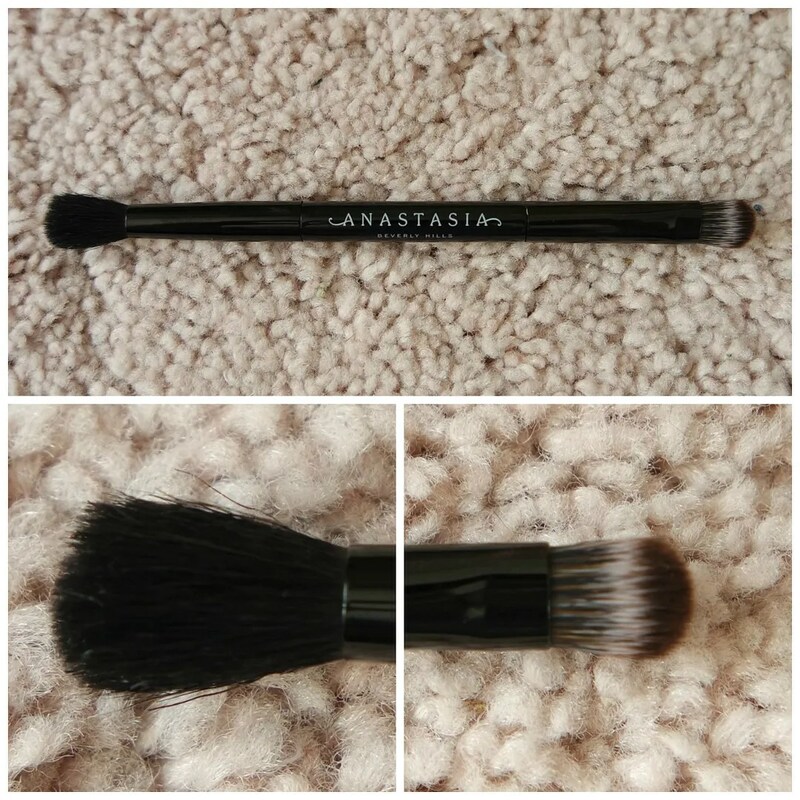 One thing Anastasia includes with every single palette they do is a double-ended brush. While I am usually not a fan of the brushes you get in palettes, I quite like the Anastasia ones. I like throwing these into my makeup bag when I travel, but don’t use these on the daily. This one comes with a blending brush on the one end and a packing shader brush on the other. So I love the setup of this palette, but the shades in here are not for everyone. There are two, Eccentric and Passion, that I feel do not go with the rest of the palette very well. I would have loved it if one of those would have been a matte darker purple. Other than that I love all the shades in this palette. It is very light though and very whimsical, so I feel this works best for fair and light skin tones. One thing I love about this palette are the shimmer. They are all very rich and super foiled. So much so that they are a little bit flaky. You have to be very careful with dipping in your brush, because else you may just ruin the shadow in the pan and then it will flake all over the place. In short, you have to be careful with these, but when you do, you will be fine. You can see what I mean about the texture of the shimmers being chunky. As you can see three out of the seven have little bits in the swatch and that can flake away if you are not careful. I would suggest pressing these shadows on with a finger rather than blending it in with a fluffy brush. The mattes are absolutely fine. Some of these are a bit sheer though, but they can be build up to full intensity if you’d like. This palette has the same texture for the mattes as the Modern Renaissance and I love those mattes. They are very smooth and easy to blend. These are no different. 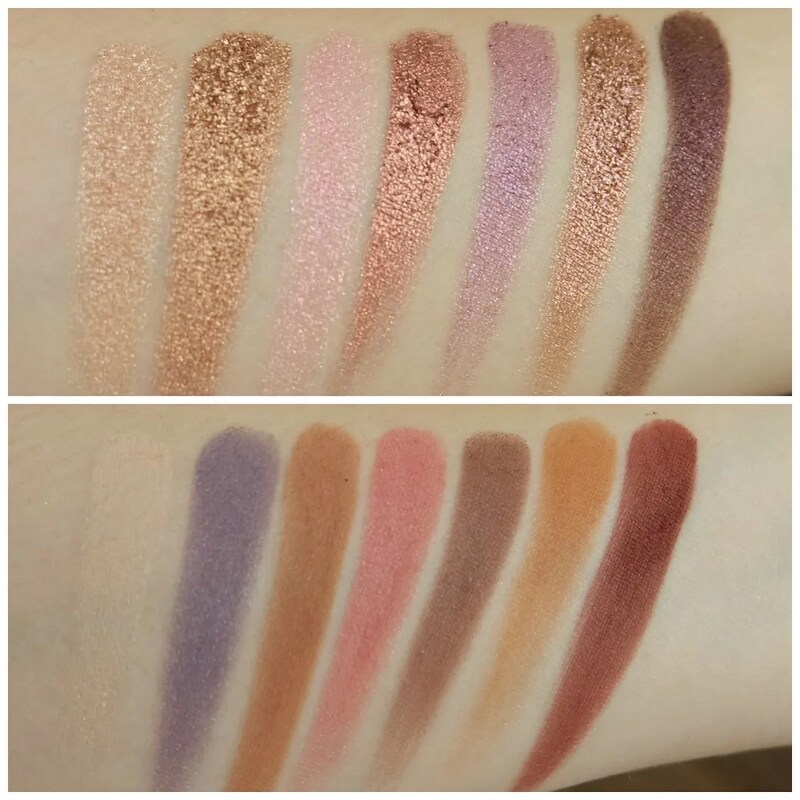 I love the texture of these and overall I feel the shade selection of the mattes does work well with the shimmers to create complete looks, apart from those two warm tones at the end though. I can make those two shades work, but they are not my favorite. 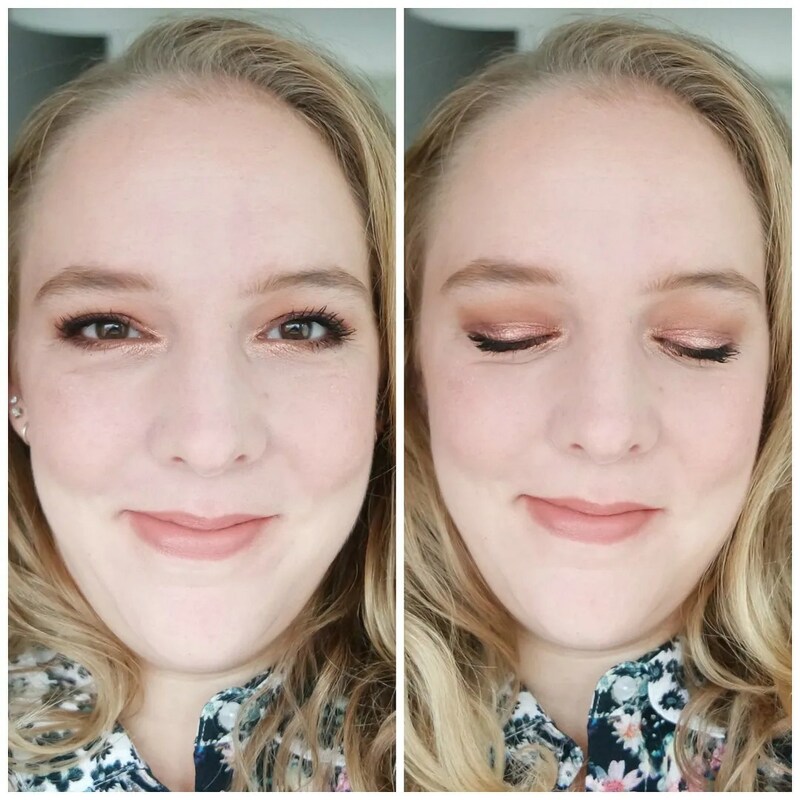 For my first make up look, I wanted to do something very neutral and perfect for every day. 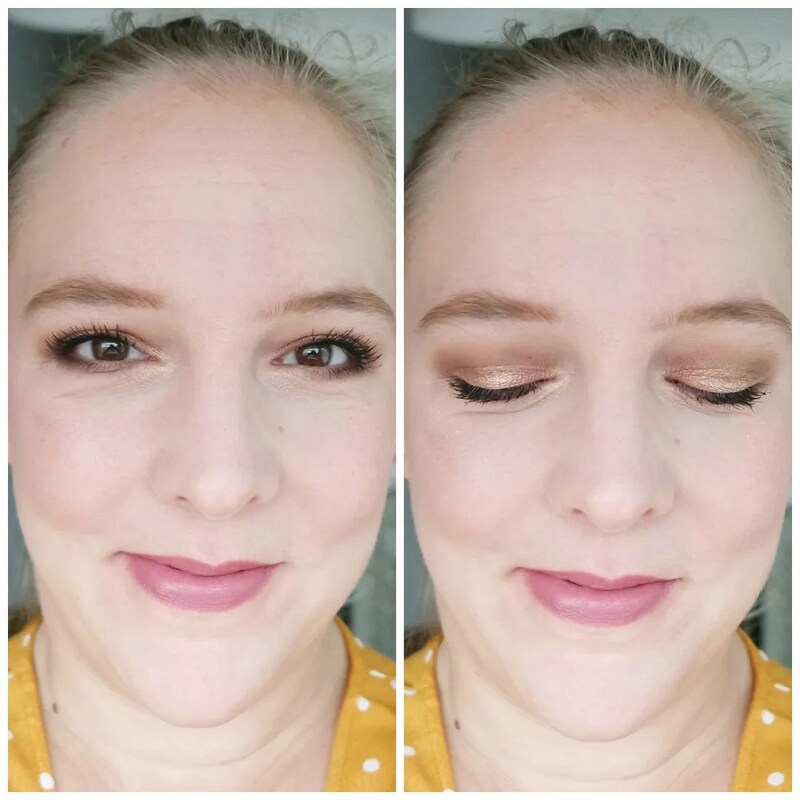 This is one of those looks that features minimal shadows and therefore is perfect for work or school and I love how the bright shade just pops right out at you. 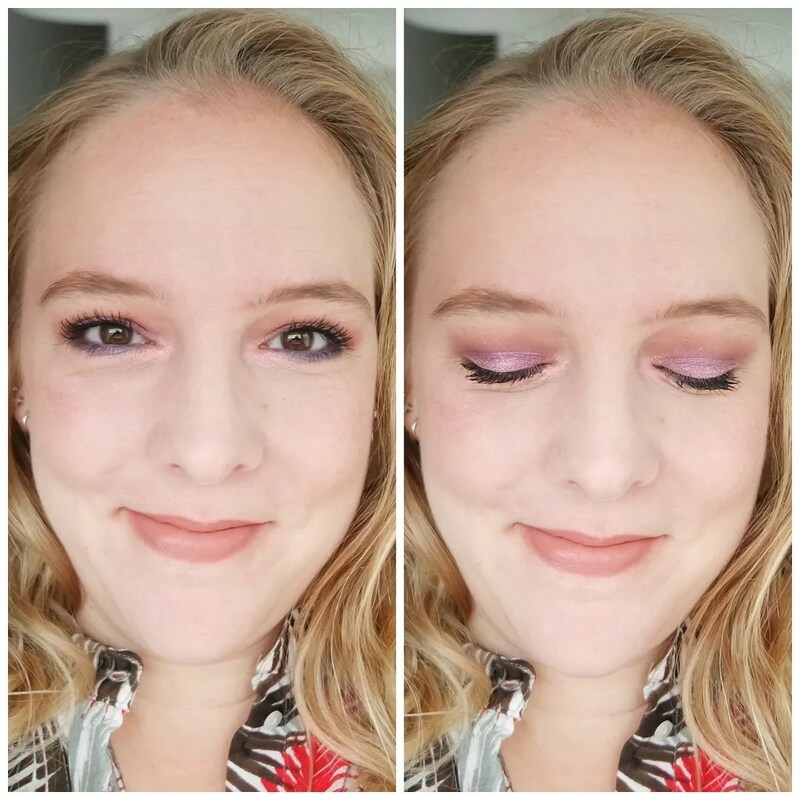 Of course I had to make a pink and purple look with this palette. While I have used almost all the purple and pink shades in this palette, this never looks too crazy. Like I mentioned this is a very whimsical palette and the pops of color you get are quite light. On me, this means that I can create very pretty looks with this. On my neutral undertone these shades just look really nice. None of the looks I came up with when I used this palette are very dark and vampy. 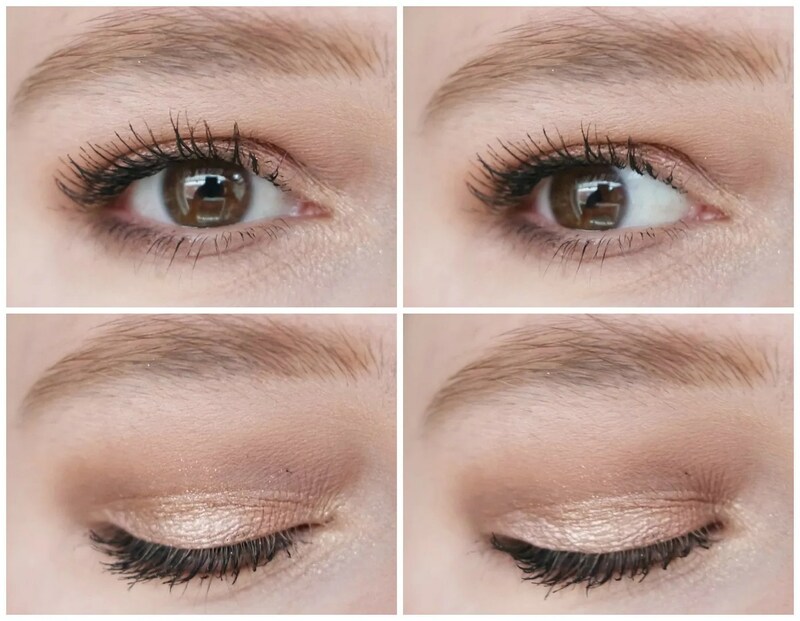 With those warm toned mattes I think you certainly could, but I wanted to show you how they can still be used for creating a soft, romantic eye look. That is what this is. 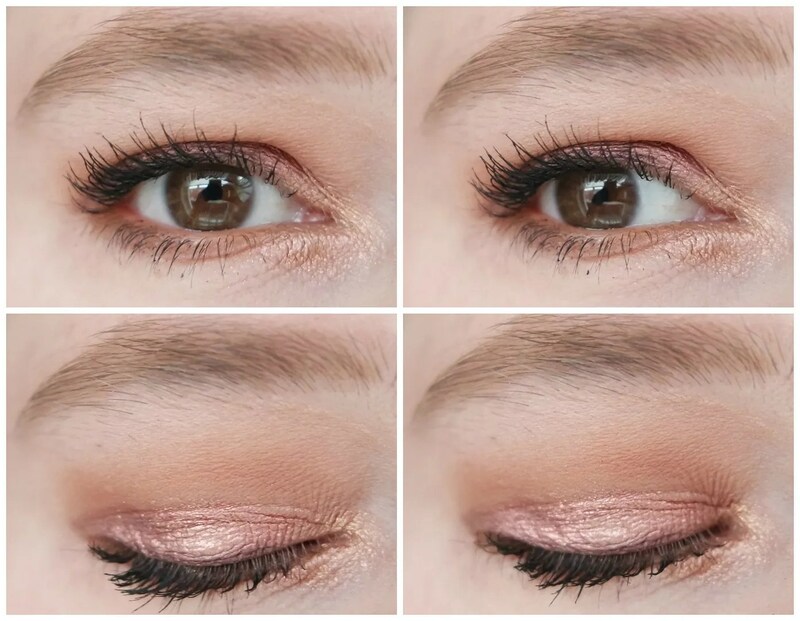 Rose Gold is one of the best shades of the palette it has a super rich, foiled texture. It is also one of the few shimmer I feel goes best with some of the more warmtoned mattes, which is why I made that pairing. 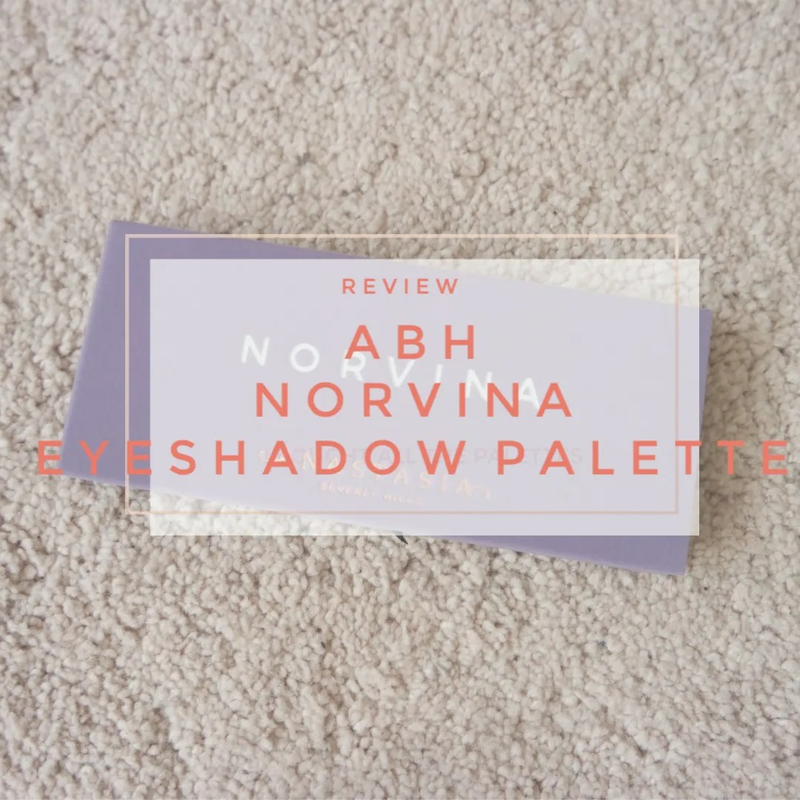 For me, the Anastasia Beverly Hills Norvina eyeshadow palette is a hit for me. The shades are whimsical and very pretty. I love the shimmers in here and the matte formula is phenomenal. The only thing I would change about this palette is add more purple mattes, but overall I am really enjoying this palette. Is this a musthave for everyone? No it is not, because I don’t think this will suit every single skin tone. 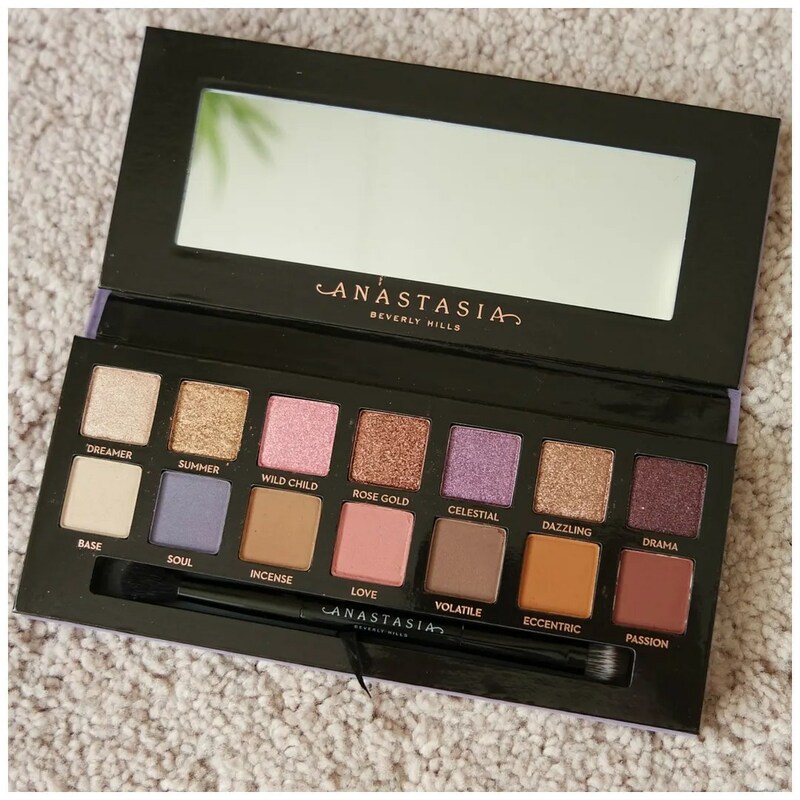 What do you think of the Anastasia Beverly Hills Norvina palette? Wow! 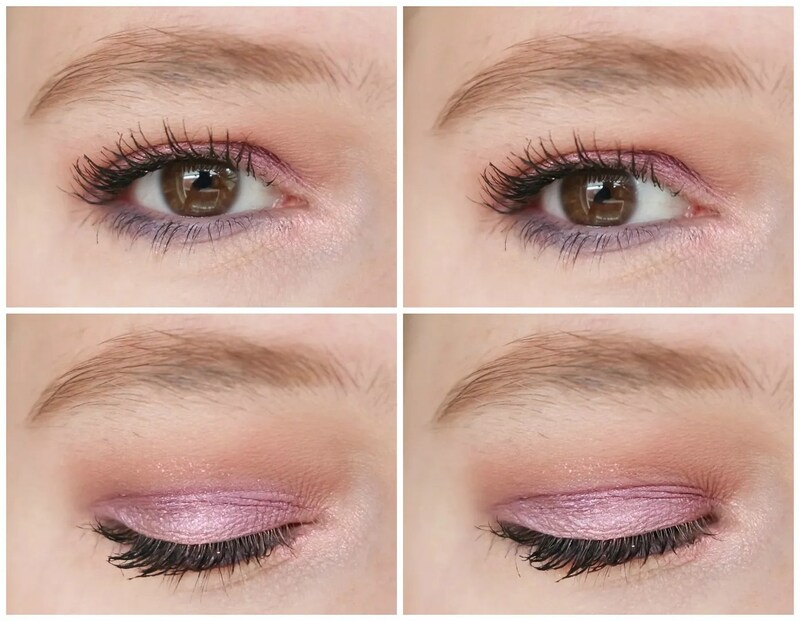 Gorgeous palette & gorgeous looks! Thanks! It is very pretty indeed. One thing abut palettes is they always seem to have colors that we will never use. I am not a matte person when it comes to eyeshadow. I also seem to see that palettes skimp on actual quality. I have, however, had a good experience with Anastasia of Beverly Hills with their eyebrow powder. This has kept this brand on my radar ever since. I love palettes as they push me more to try new things. I used to be an eyeshadow singles girl though. But then I found myself collecting singles that would go together a bit too much and it became a bit like a palette in the end.